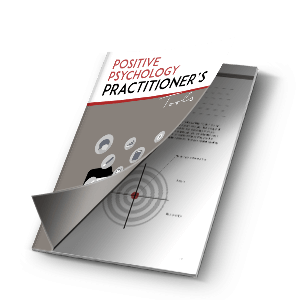 Home » Positive News » What is the Positive Psychology Movement? Positive psychology is a scientific field. Unlike positive thinking, “happy-ology” or self-help, this field draws on the scientific method to understand the conditions allow people, groups, and institutions to thrive. In 2000, American Psychologist devoted a whole issue to positive psychology. Since then, a great number of articles and books were published. Conferences, grants for research, and courses have also multiplied. How and why did the movement grow so rapidly? Positive psychology follows the work of William James, and what he called “healthy-mindedness.” This relates to Maslow’s advocacy of studying healthy people rather than only sick people, for example. Why not study how people flourish and in the process, create a culture of resilience? The positive psychology movement sprouted from the need to research neglected areas around healthy human regulations, emotions, and activity. In clinical psychology, much of the research focuses on mental illness and disorders. This is valuable since many people struggle with imbalances. But between 1887 and 2001, only 1 of every 21 studies related to a healthy aspect of living; the rest were geared towards understanding disorders. Positive psychology does not aim to deny the inevitable hardships of life. It is also not to view these hardships with rose-colored glasses. Instead, its premise is simple: let’s understand what conditions help humans thrive. Let’s collect research and form a body of knowledge that helps people prosper emotionally and physically. For example, what factors create healthy families? How do schools create a safe learning environment? How do people practice altruism and with what personal results? Need a moment to pause and understand the movement and its trajectory? This Ted Talk features Martin Seligman, a founding member of the field, as he explains the history and future of positive psychology. The research did include some of these topics before the year 2000, including studies around motivation, optimism, attachment, and love. However, there was little research for gratitude, forgiveness, inspiration, hope, and curiosity. Positive psychology practitioners believe that these aspects need to be addressed: they can act as buffers against the turmoils of life and are important factors of the human experience. Psychology made great progress in diagnosing and treating mental disorders, but the same doesn’t hold true when it comes to understanding what goes well with people. For example, social psychology advanced our knowledge of implicit prejudices and the outcomes of low self-esteem. Health psychology showed the impacts of environmental stress on our physiology. And cognitive psychology revealed the many biases and errors involved in judgments. These are all valuable and important contributions, however, it was hard to find the same amount of research on human strengths and virtues. Why has psychology traditionally focused on weaknesses instead of strengths? People suffering need help and should be attended first. This is true, but studying human strengths can help lessen the damage of stress and suffering. Historical reasons prevented this movement from starting until the late 20th century. After the Second World War, research into mental illness and psychological damage was prioritized. Agencies funded these studies to help account for the emotional damage of the war. “Bad is stronger than good.” Baumeister and colleagues found that negative events have more impact: negative information is processed more thoroughly in the brain than positive information. “Automatic vigilance tends to be greater to negative stimuli than to positive stimuli” (Pratto & John, 1991). This might have evolutionary reasons, since recognizing danger is vital when it comes to survival and reproduction. The future of positive psychology is to create a world that encourages strengths and resilience. Positive experiences and positive relationships are not only based on luck and circumstance; there are exercises and types of therapy to encourage these. More than that, positive psychology studies physical health, subjective well-being, functional groups, and thriving institutions. With this, we can develop effective interventions for those who are not thriving. The original “three pillars” of positive psychology were subjective experiences: positive individual characteristics, positive institutions, and communities. Communities have yet to benefit as extensively from studies associated with “positive sociology” and “positive anthropology.” But this is a huge scope of research currently, as scientists explore what traits create positive communities. Although it is still a new field compared to the institution of psychology, positive psychology offers a scientific approach to creating a local and global network of engaged and reflective humans. Gable, S. L., & Haidt, J. (2005). What (and why) is positive psychology? Review of General Psychology, 9(2), 103–110.